Earlier this year, my girlfriend and I took a short trip to Manhattan where, completely unintentionally, we happened upon a Muji store. 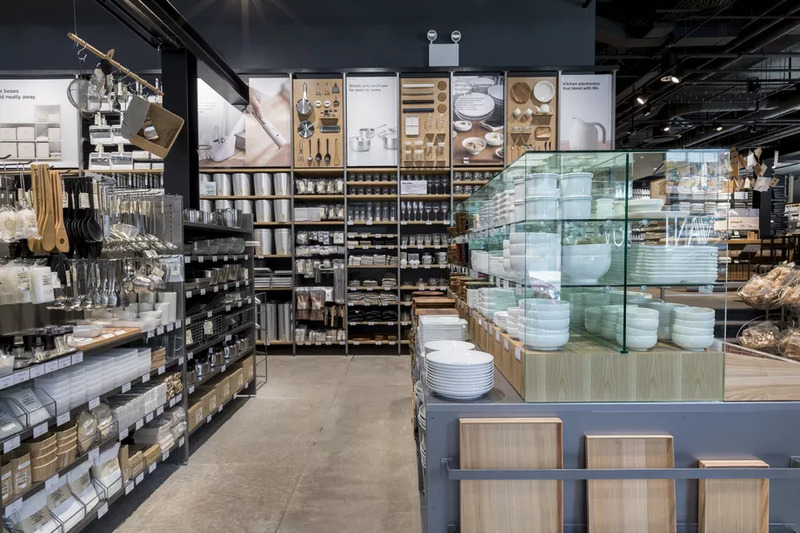 If you’ve never heard of Muji before, it is sort-of like the Japanese’s answer to Crate & Barrel. It’s a store full of household items, clothing, and stationery products, though all of it is unbranded. It’s trendy and cool, and it’s difficult to walk into a Muji store without buying something. Short on time during my New York vacation, I settled on this simple Hex Oil pen, which cost about $1.50. 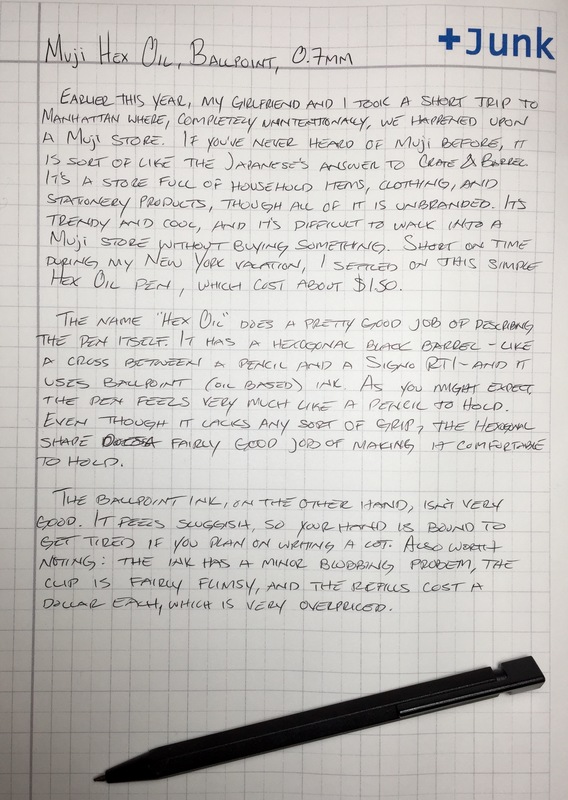 The name “Hex Oil” does a pretty good job of describing the pen itself. It has an all-black, hexagonal barrel – like a cross between a pencil and a Signo RT1 – and it uses ballpoint (oil-based) ink. 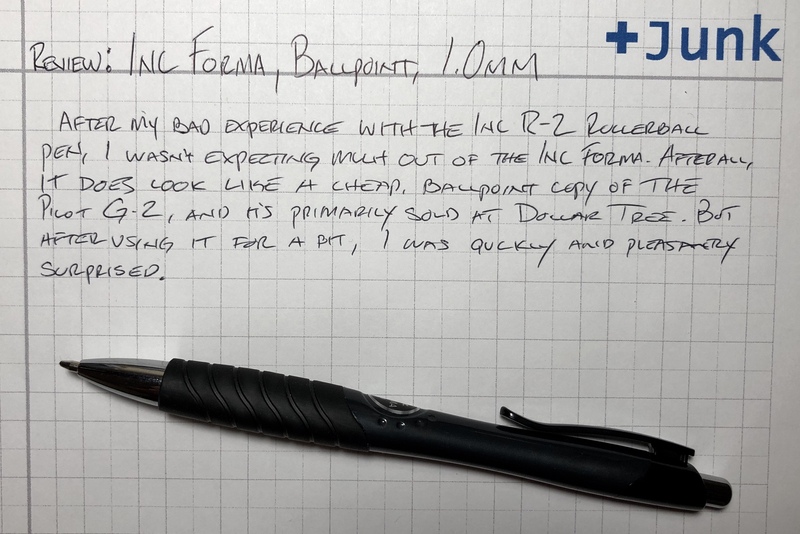 As you might expect, the pen itself feels very much like a pencil in hand. Even though it lacks any sort of grip, the hexagonal shape does a good job of making it fairly comfortable to hold. The ballpoint ink, on the other hand, isn’t very good. It feels sluggish, so your hand is bound to get tired if you plan on writing a lot. 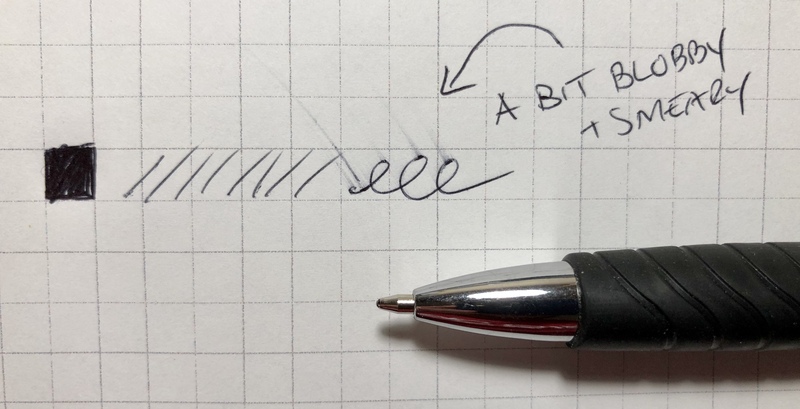 Also worth noting: the ink also has a minor blobbing problem, the clip is fairly flimsy, and the refills cost a dollar each, which is way overpriced. Perhaps a recovering pencil-addict will get enjoyment out of the barrel, but better pens exist that cost less money. 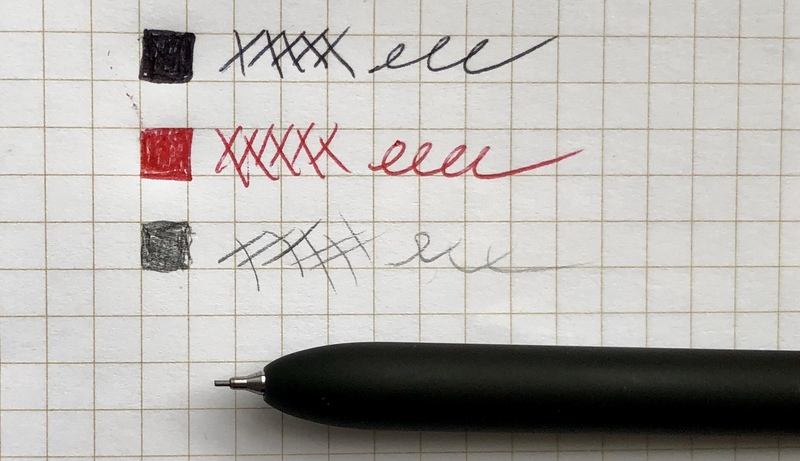 Check out the Skilcraft U.S. Government Pen or the Paper Mate Inkjoy 550RT instead. 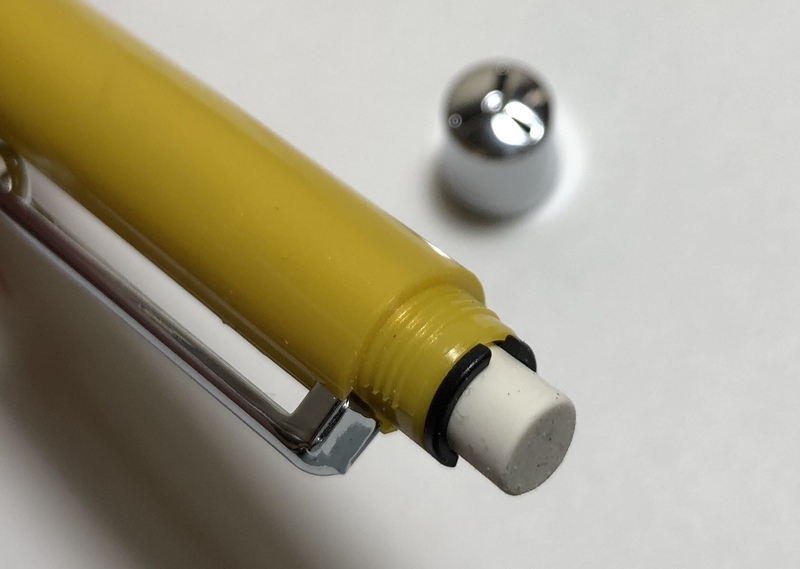 They may not look as unique, but you’ll have a better writing experience.